ArtStarts thanks the Keep Vancouver Spectacular program, a project of the City of Vancouver and Tourism Vancouver, for making sure our neighbourhood looks great! Celebrating its 15th year, KVS has enlisted the help of thousands of volunteers, all helping to make our beautiful city an even better place to live, work and visit. 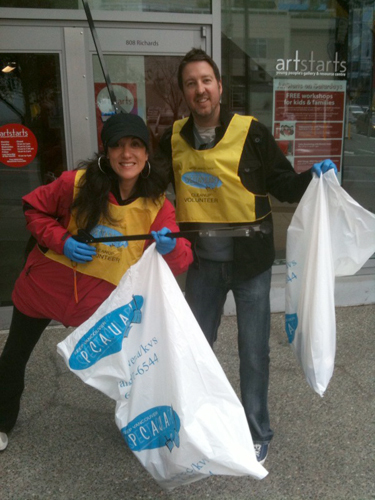 Here are two volunteers helping to keep the street tidy outside of our downtown Vancouver Gallery!